This year the EAA Pilot Proficiency Center at AirVenture is moving to show center at the “four corners”. With an expanded space and even more Redbird Advanced Aviation Training Devices available to pilots, your annual trip to the “world’s greatest aviation celebration” can also be a fun training and proficiency trip. The Pilot Proficiency Center will serve as a gathering for pilots of all levels to enhance skills, experience challenges, learn from expert instructors, and become safer pilots through effective simulation training. The center will feature a total of 14 Redbird training devices - 12 Redbird LD simulators, a MCX full motion device, and a crosswind trainer. Those who visit the Pilot Proficiency Center will be able to choose from more than 30 different training scenarios. The simulator flights are either 10 or 20 minutes long and pilots are allowed a 30 minute block to create a combination of training events. Each simulator is staffed by a professional flight instructor who will guide pilots through the scenario. All flights will be recorded with Redbird’s Sidekick software and uploaded to a cloud. Sidekick will allow pilots to perform a thorough debrief of their flights utilizing CloudAhoy and then create an automatic logbook entry with ForeFlight logbook. Redbird’s Winging It, a ten-part online series promoting pilot proficiency and aviation education, will culminate in Oshkosh at the Pilot Proficiency Center. Pilots attending AirVenture are invited to join in on the journey. Nine of the 30+ scenarios feature locations and situations that the show’s host, Brittney Miculka, has experienced in the last four months during her adventures on Winging It. Pilots can review available scenarios and pre-brief information at www.eaapilotproficiency.com. Redbird is a proud supporter of the Pilot Proficiency Center. One of the main goals is to encourage pilots to take the excitement and knowledge generated during AirVenture back to their local flight school and aviation community. Scenario based training in a simulator is a great way to keep sharp. It challenges a pilot beyond the routine of just getting up in the pattern for some touch and go’s by providing a cost effective way to practice skills without risk. 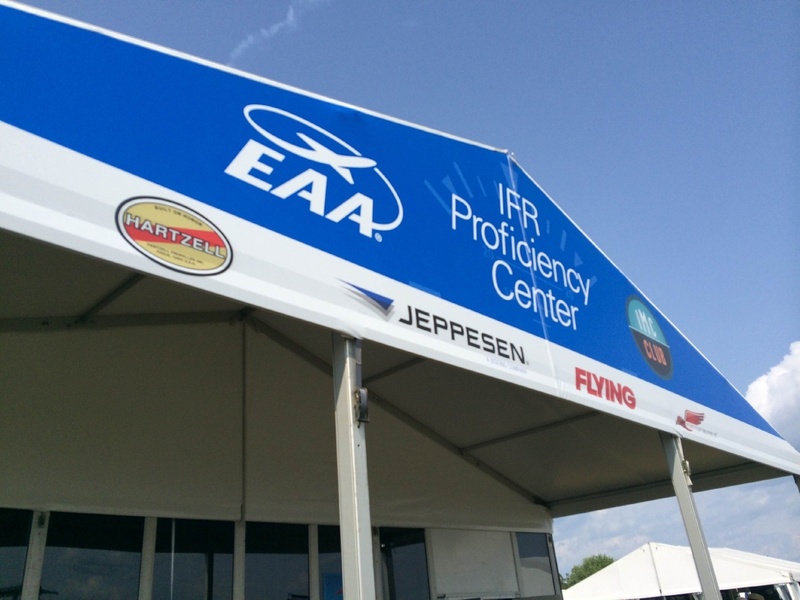 The EAA Pilot Proficiency Center is made possible by many industry partners including, Hartzell Propeller Inc., Jeppesen, Redbird Flight, AOPA, David Clark, Independence Aviation, Mindstar Aviation, National Association of Flight Instructors, PilotEdge, Pilot Workshops, Plane & Pilot, and Society of Aviation and Flight Educators.